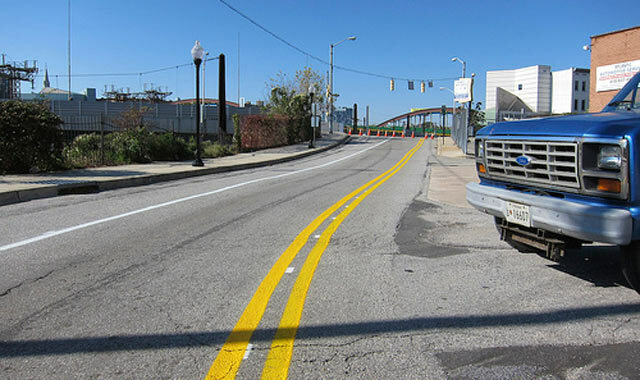 In November 2001, the city of Baltimore Department of Transportation installed a contra-flow bike lane on Lanvale St. to facilitate access between a proposed bike boulevard project on Guilford Ave., bicycle parking facilities at Baltimore Penn Station, two local bike shops, and the Jones Falls Trail. 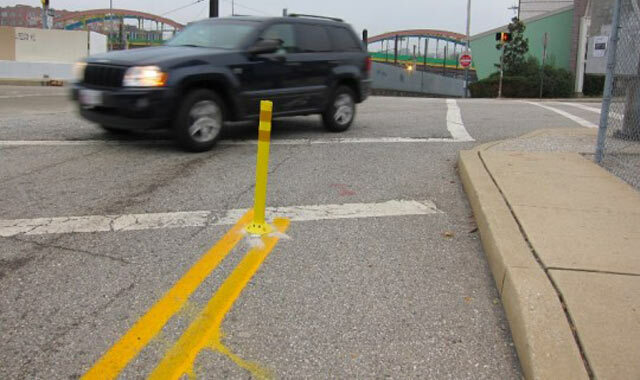 The contra-flow lane allows bicyclists to travel in both directions. 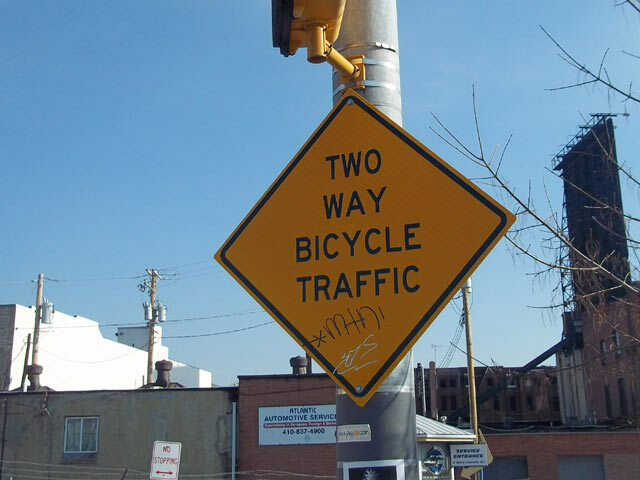 It is distinguished by a 3′ wide yellow striping buffer and pavement markings, as well as ‘Two-way Bike Traffic’ and ‘Do Not Enter- Except for Bikes’ signs. 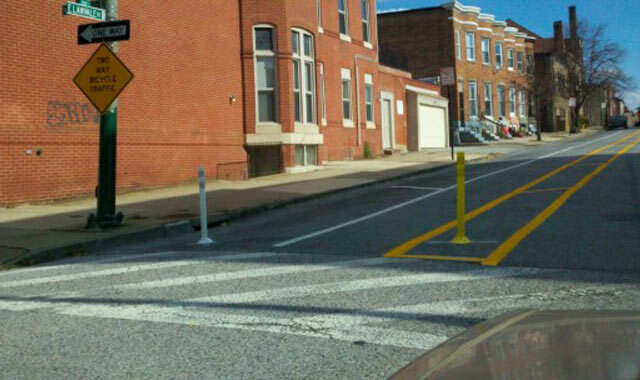 To divert traffic from using the bike lane as a turn lane, flex posts were installed at the intersection. Existing signal heads, in place from when Lanvale St. was a two-way corridor, obviated the need to purchase and install new bicycle signals. 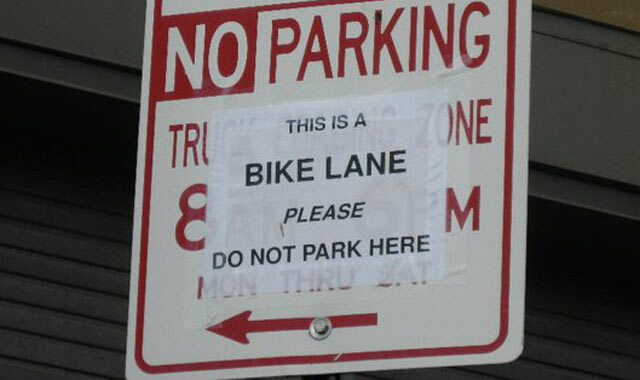 Signage that had permitted illegal parking in the bike lane on the unit block of W. Lanvale St., had to be removed. The project was constructed in-house and installed at a cost of $5,000. Following the project’s completion, the bike lane has been heavily used by cyclists and most motorists have been compliant.